Hot water mixed with lemon juice and honey may provide temporary relief from some cold and flu symptoms, according to the Mayo Clinic. Hot water, lemon juice and honey may be taken as often as necessary to reduce symptoms. If symptoms continue for more than a week, consult a doctor for additional treatment. Hot water with honey and lemon juice added to it may help reduce the soreness and irritation of a sore throat, according to the Mayo Clinic. Lemon cuts mucus in the back of the throat that may cause soreness, while honey coats the throat. Parents magazine recommends mixing 1 tsp. of lemon juice and 1 tsp. of honey in a mug of water, then microwaving the mug for 30 seconds. Drink the mixture one teaspoonful at a time to help reduce a sore throat. Honey is an effective remedy for cough, according to the Mayo Clinic. Cough may be caused by congestion forming in the lungs, or irritation from a sore throat. Honey will help coat the back of the throat, soothing the irritation. Heat hot water in a tea kettle, then add lemon and honey to taste. Do not give honey to infants under 1, because they may develop infant botulism, a type of food poisoning. Congestion may build up in the chest, the back of the throat and in the nasal passages. 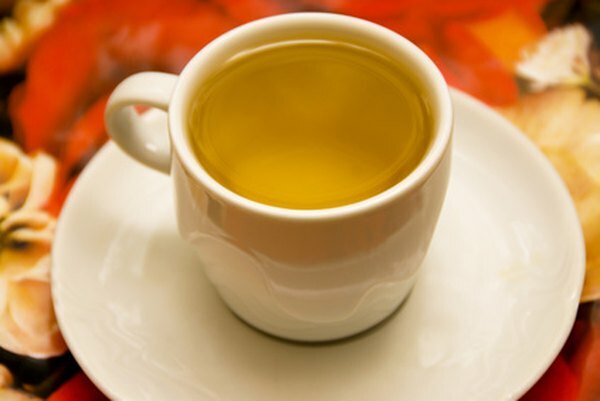 To help clear congestion, inhale the steam from a cup of hot water, lemon and honey. Slowly inhale through your nose and mouth while cupping your hands around the top of the cup to guide the steam into your nostrils and mouth. Sip the mixture slowly to help reduce mucus in the back of the throat.